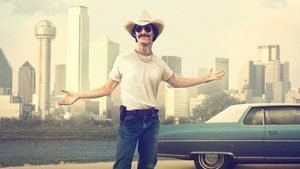 An accused Dallas Buyers Club pirate has been told to remove P2P and BitTorrent software in order to avoid a $7,500 fine. The woman was accused of downloading Dallas Buyers Club illegally using BitTorrent software, along with many thousands of other people targeted who have paid settlements of typically around $3,500. In an interesting exception in an Oregon court is worth noting, however. A woman was essentially spared having to pay $7,500 in damages to the makers of Dallas Buyers Club as long as she promised not to pirate movies again in the future. She was offered this option due "extenuating circumstances" and "financial hardship." The judgment was dug up by TorrentFreak. The lady in the case had to agree to a permanent injunction that included a commitment to "immediately delete all unlicensed video and audio content in her possession and subject to her control, together with any and all BitTorrent clients on any computers(s) she owns or controls together with all other software used to obtain media through the Internet by BitTorrent peer-to-peer transfer or exchange." VPN works for torrents only if the sever is located outside of US. Who really thinks that she will delete everything that has been downloaded? She needs to research Usenet.